Home/Dinosaur and Prehistoric Animal News Stories, Dinosaur Fans, Main Page/Will We Ever Know All the Dinosaurs? Will We Ever Know All the Dinosaurs? 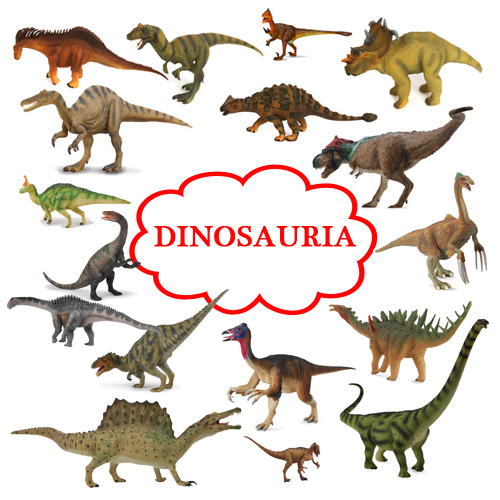 With something like 1,200 different genera of dinosaur now described, our knowledge of the Dinosauria has increased a great deal, especially over the last twenty years or so. Many different types of dinosaur have been discovered and we at Everything Dinosaur try to keep a database using this blog. For example, since the beginning of July, we have written articles about a newly discovered, very bird-like oviraptorid from southern China (Huanansaurus ganzhouensis), North America’s latest Ceratopsian discovery (Wendiceratops), the new dromaeosaurid from Liaoning Province (Zhenyuanlong suni) and most recently, the basal Sauropod Pulanesaura from South Africa. Just over the weekend, we reported on a giant horned dinosaur skull from South Dakota that might well turn out to be a new species of Centrosaurine, albeit, one that would be very closely related to Triceratops. However, will palaeontologists ever be able to create a definitive list of all the dinosaurs? What percentage of the Dinosauria will ever be known? Scientists at Bristol University have set about trying to find out by assessing just how good the fossil record for the dinosaurs actually is. So many different types of dinosaur. Professor Mike Benton of the University of Bristol, set out to assess how good the fossil record is for the Dinosauria and for early Tetrapods in a bid to answer the question as to whether the fossil record adequately represents the patterns of diversity of animals through time. A number of other authors have attempted to assess the quality of the fossil record and in this new study, published in the journal “Palaeontology”, the journal of the Palaeontological Association, Professor Benton set out to plot how the knowledge of dinosaurs has been accumulated since the first scientific description (Megalosaurus) back in 1824. The research does not provide a definitive answer with regards to how representative the vertebrate fossil record actually is, but this study does suggest caution needs to be taken when using some popular methods to try and remove bias from the known fossil record of the Dinosauria as well as the other Tetrapods included in the analysis. Number of species against number of new fossil bearing formations. The Bristol-based palaeontologist plotted the history of research into the Dinosauria from 1820 to the present day. He logged the number of new species described and how the patterns of discovery match the patterns of discovery of new geological formations. He noted that the patterns of discovery are closely linked, one or two new dinosaurs for each fossil-bearing geological formation that is newly explored. The usual view is that (1) is correct, that rocks drive fossil finds. Palaeontologists are keen to find new dinosaur species, but the new species could only be found if they explored new rock formations around the world. It could be argued that our ability to discover new types of dinosaurs (or any fossil group for that matter) is dependent on the availability of suitable rock formations to explore. The graph above shows the same relationship in early Tetrapod fossil discoveries from 1820 to the present day, but if there is a causal relationship between fossil finds and formations then how does this relationship work? The opposite view is that fossil discoveries drives the search for new rock formations. Palaeontologists set out to look for new dinosaurs in a very focused and disciplined way. When new dinosaurs are found they would often add a new dinosaur-bearing formation to the known list. In this case, the limiting factor is not simply the availability of suitable rock formations to explore because scientists do not search systematically but they go straight to areas when they hear there are bones to be excavated. This new analysis does not provide us with a definitive answer as to the diversity of the Dinosauria, or indeed, for any other fossil group of vertebrates. However, we can infer from what we already have discovered that there are very probably a lot of weird and wonderful dinosaurs yet to be found. It is not possible to state that we, after 195 years of research (1820 to 2015), have identified 10%, 50% or even 1% of all the types of dinosaurs that have ever existed, such statements by their very nature are likely to be invalid. This new research does provide a clearer picture of why there is such a close correlation between dinosaur species numbers with formations, localities or collections. The numbers of all four are connected because they are all telling much the same story, they are measuring the same history of life on Earth and our knowledge. Professor Benton concludes that it is not possible to isolate one or other of these measures and then try to use it as an independent yardstick for sampling. There is one certainty, well, it’s almost a certainty. New types of dinosaur will be discovered in the future and if the graph developed by Professor Benton is anything to go by, a lot of new dinosaurs (at least compared to the historical data), will be discovered in the next few years and Everything Dinosaur will do its best to blog about them. Everything Dinosaur acknowledges the help of a Bristol University press release in the compilation of this article.